New tools make it easier for 3D artists to create and transfer level of detail data for 3D game assets. Now you can define the percentage of mesh reduction for each LOD and create reduced meshes that can be used in-engine. 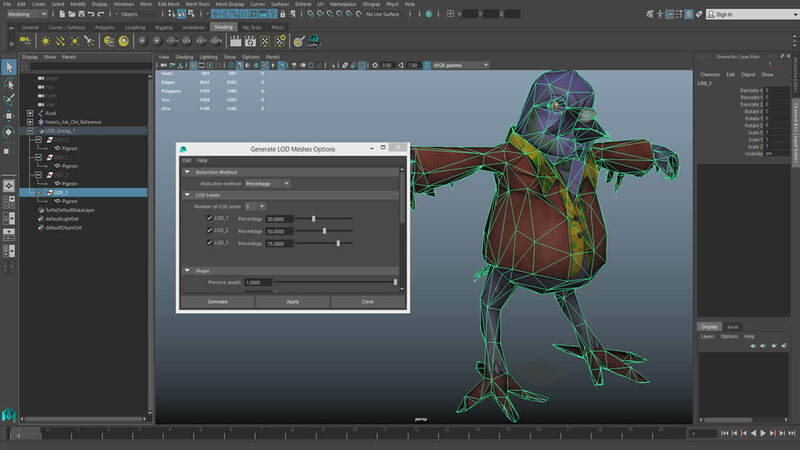 Note: Extension 2 features are available only to current Maintenance Subscription or Desktop Subscription customers as part of the Extension 2 for Maya LT 2016 software release.